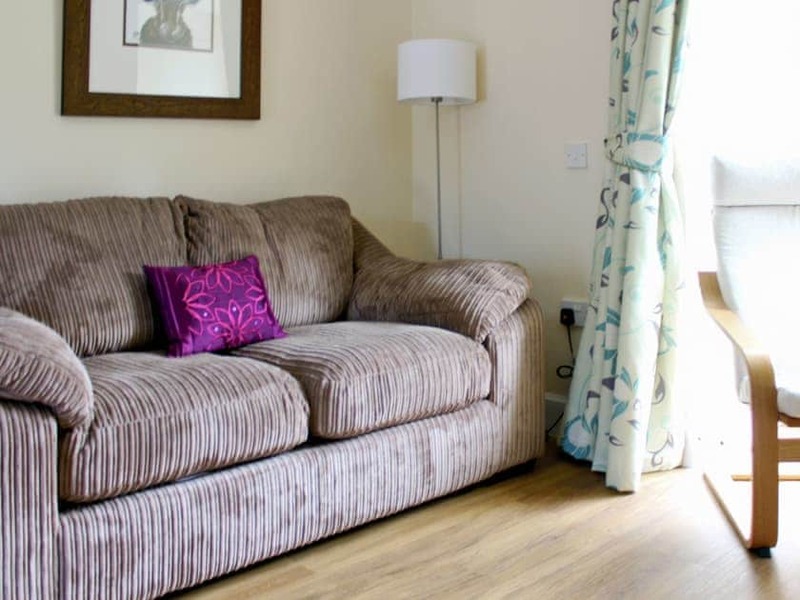 Providing a wonderful romantic break, Primrose Cottage is ideal for couples all year round. 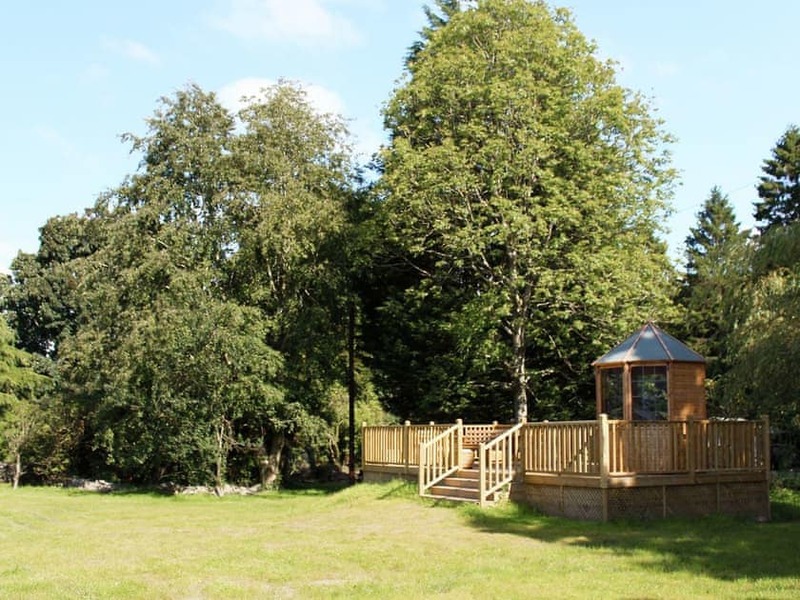 "Stunning cottages in the heart of Loch Lomond National Park..."
Auchendennan Farm Cottage (SLLX) is a single-storey holiday cottage; within the house there is a large family sauna which can be used as an ideal way to unwind. Outside on the sun decking, there is a sunken hot tub which is large enough for all the family and powerful enough to give tired muscles a proper massage. Rose Cottage (SRRG) is a single-storey conversion adjoining the owner’s farmhouse. 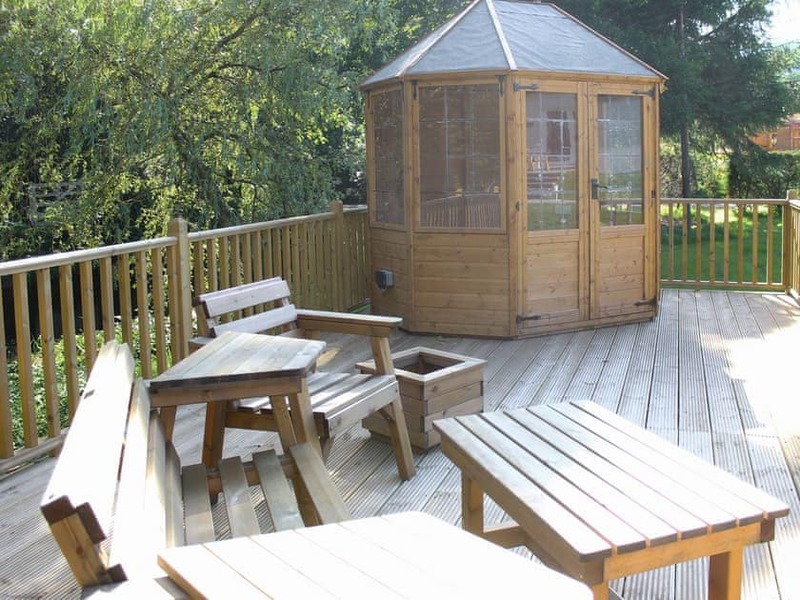 Combining modern and traditional furnishings, the property boasts a superb hot tub and external sun decked area for relaxing and unwinding. 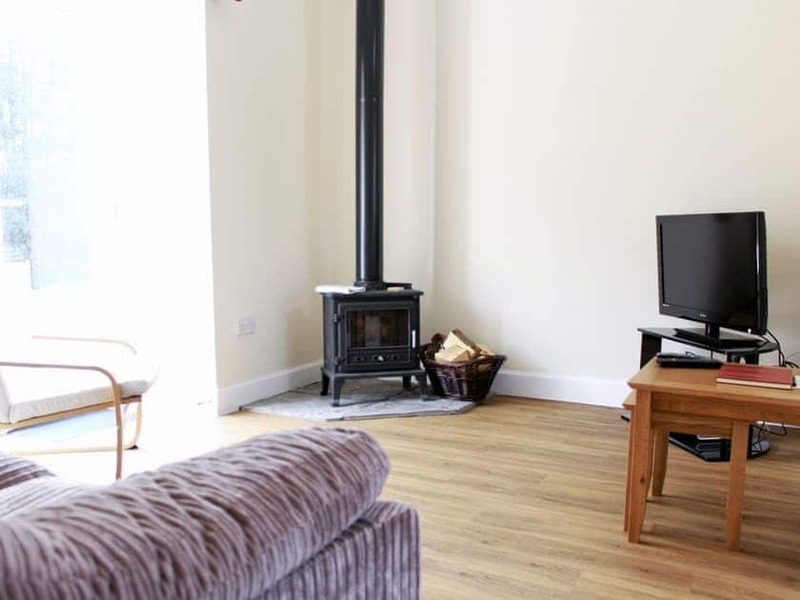 Burnbeag (SVVE) is a stunning, detached cottage to the rear of the steadings and has a stream running through its private enclosed garden, which has a decked area and hot tub. Courtyard Studio (SVVD) is a single-storey barn conversion set in the courtyard, behind the main house. 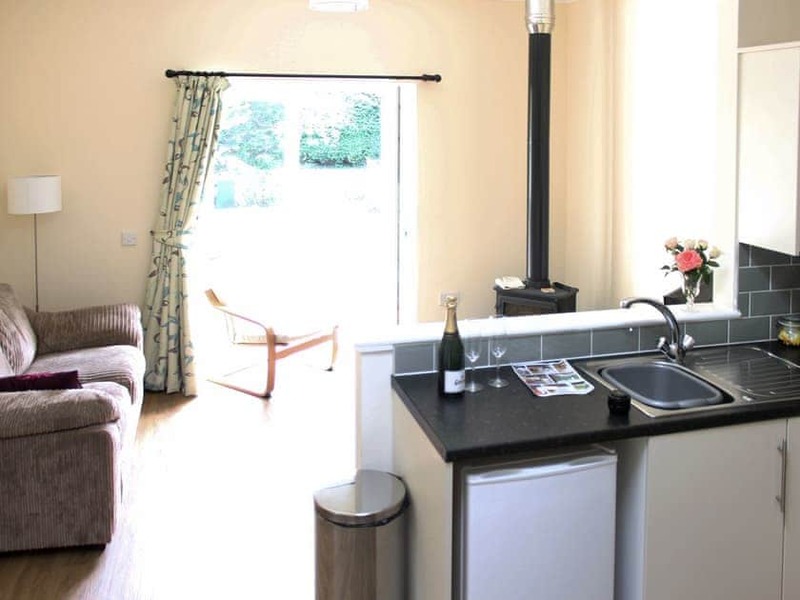 Chestnut Cottage (SXXO), Willow Cottage (SXXP), Primrose Cottage (SXXQ) and Ivy Cottage (SXXR) are all pretty single-storey, semi-detached holiday cottages, with open-plan living areas and a cosy, wood-burning stove. Walking is a popular pursuit, from gentle low-level strolls to strenuous mountain climbs. Ben Lomond, Ben Lui, Ben Ime and Ben Vorlich are among the 21 Munros (mountains over 3000 feet). The West Highland Way stretches from the edge of Glasgow to Fort William, hugging the banks of Loch Lomond and passing through the spectacular mountain scenery of Strathfillan. There are great opportunities for cycling on and off road on National Cycle Network Route 7, which passes through the National Park from Balloch to Killin. Cameron House, the 5 star golf/spa resort is just minutes from the property where one can enjoy fine dining, day spa packages and championship golf. Lomond Shores, again a short distance from the property, offers designer shopping, loch cruises and an aquarium. The cities of Glasgow and Edinburgh are easily accessible by car boasting award winning restaurants, theatres, galleries and concert venues, designer shopping as well as many tourist attractions including the breath-taking Edinburgh Castle. Shops 2 miles, pub ¼ mile. 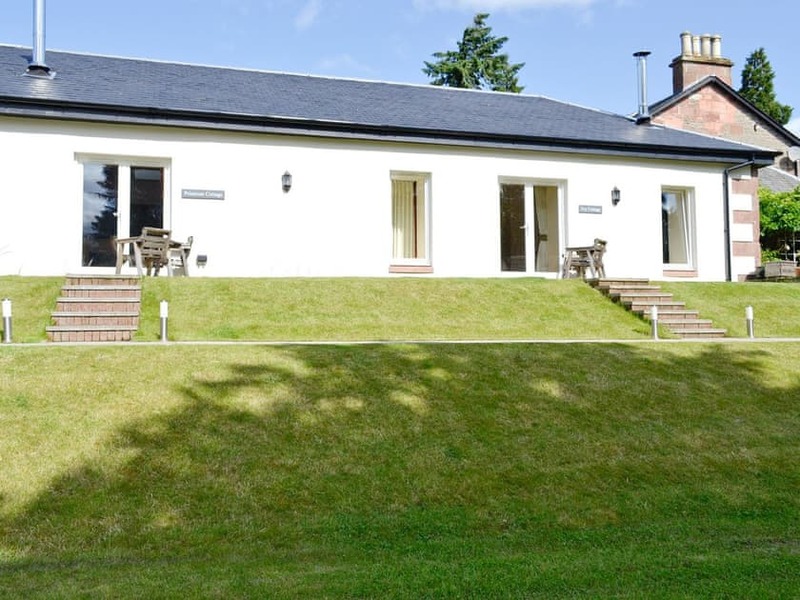 Auchendennan Farm Cottage (SLLX) can be booked toggether with Rose Cottage (SRRG) to accommodate up to 10 guests. Open-plan living room with wood-burning stove, French doors and kitchen area. 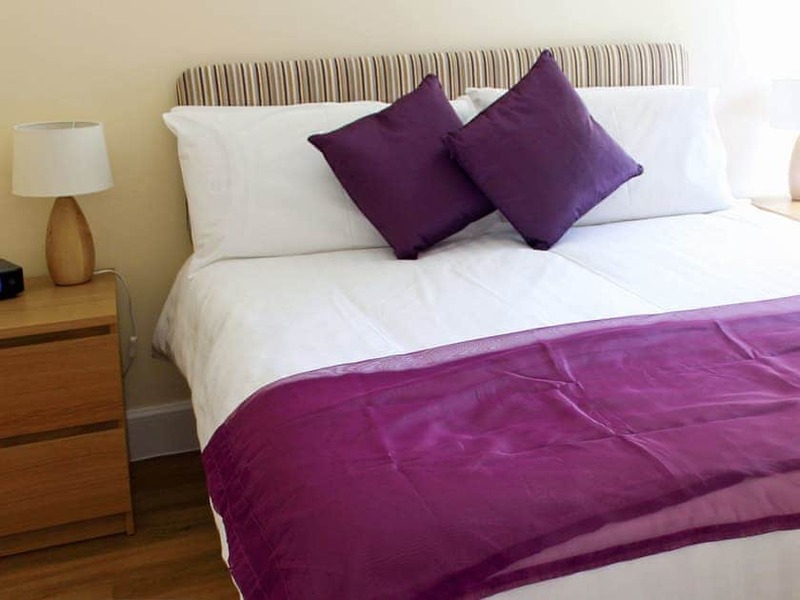 Double bedroom with 5ft bed. 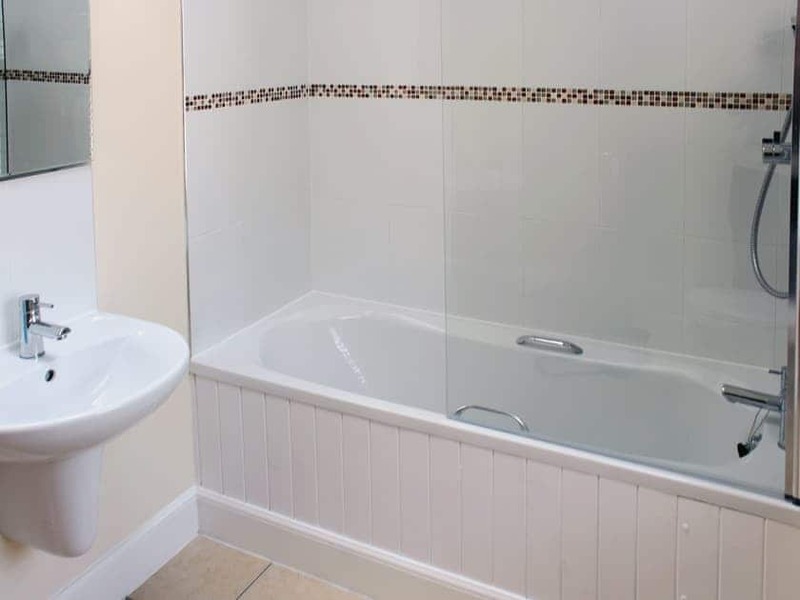 Bathroom with over-bath shower and toilet and tiled floor.